Valentino has been hospitalised in Urbino this night after an endurance motocross accident, with reports coming out of Italy suggesting he has broken his right leg. Italian media report that Vale sustained the injury to both the tibia and fibula of the leg that he previously broke in his high-speed practice crash at Mugello in 2010. He is currently in Urbino Hospital, with Gazzetta dello Sport reporting that he might undergo surgery tonight. Rossi's father Graziano told ANSA: "Valentino is not optimistic. They fear there is a fracture. "To do the radiograph they had to cut the boot, and Valentino told me he feels very bad." His Yamaha team has yet to comment on the incident. If confirmed, such an injury would see Rossi miss his home Misano event next weekend and deal a massive blow to his 2017 title hopes. The Movistar Yamaha rider is currently third in the standings, 26-points from Ducati's Andrea Dovizioso, with six rounds remaining. Rossi has not been seriously injured since breaking his leg (a displaced and exposed fracture of his right tibia) during practice for the 2010 Italian Grand Prix at Mugello. On that occasion, it took Rossi six weeks to return to MotoGP action. The #46 was also injured just before this year's Mugello round, while training on a motocross bike. The Italian spent a night in hospital after hurting his stomach and chest when he went over the handlebars on the landing of a jump, but did not sustain any fractures and was able to finish fourth in the grand prix. Yamaha is yet to comment on the latest injury reports. According to rumors, the medical prognosis is 30 days. 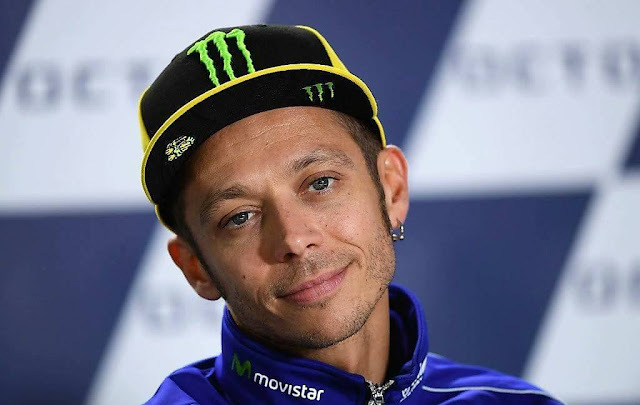 So, Valentino Rossi could not run in Misano (10 September) and then in San Marino (24 September). The incident undermines the opportunity to play for the tenth World Title. Italian media report that Vale sustained the injury to both the tibia and fibula of the leg that he previously broke in his high-speed practice crash at Mugello in 2010.